Ok well this isn't really a band exactly, but rather a pretty decent rapper. 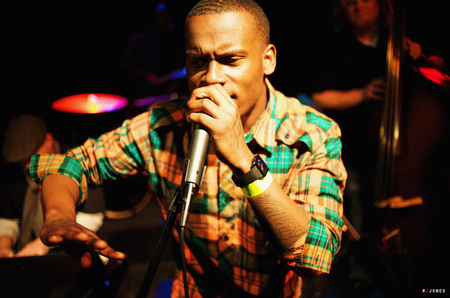 Fashawn is an American underground rapper from Fresno, California. His debut album, Boy Meet World, came out a few years ago and I really enjoyed it. Let me know what you think. I didn't think I would like it, because rap isn't my thing, but it was really cool. thanks for sharing. Dope song. Really sick instrumental and Fanshawns lyrics are solid. ive heard of him, hes a good rapper. The actual rapping is alright, but what I really enjoy is the beat. I've heard of him before. I'll check it out. who hasn't heard of him, do it ASAP! Not a huge fan of rap, but he has some skills. Always up to hear new stuff. I'll check them out then! This guy has some skill. thx for sharing! not bad! Band you should check out: Mother Mother. Its not something I'd normally listen to, but hes not bad.